Have the Eagles Solved Their Problems? I didn't get to watch more than the last few minutes of the Eagles 24-17 win over the New York Jets, because sometimes being a coach is more important that being a fan. But that doesn't mean that I didn't get to see the highlights, see all the interviews and digest all of the statistics from the game. I'm sure there are plenty of people who are right back on the Eagles' Super Bowl bandwagon, but I'm here to tell you that we need to pump those brakes just a bit. Yes, the Eagles absolutely saved their season with the win, but that doesn't mean that they solved all of their problems. It just means that the NFC East is the worst division in the NFL, so the Eagles are not dead at 1-2. Let's start with the positives. Except for the first half of their opening game loss to the Falcons, the Eagles defense has actually played well. Julio Jones has been torching everybody this season, so his dominance can be excused. Yes, the Cowboys were without Dez Bryant and eventually Tony Romo, but the Eagles didn't lose that game because of the defense. And that defense actually did win the game against the Jets, by forcing four turnovers. The fact that they did so well without DE Cedric Thornton and ILBs Kiko Alonso and Mychal Kendricks just makes it all the more impressive. You also can't help but be impressed by rookie LB Jordan Hicks. He led the team in tackles and added another INT and a fumble recovery in his first NFL start. Suddenly the thought of Kiko Alonzo (not surprisingly) blowing out his knee again doesn't seem like the end of the world. The Eagles defense is ranked 9th against the run, 24th against the pass and 17th overall. After that debacle in Week 1, those are certainly respectable numbers. The other positive is Darren Sproles. It is not a stretch to say that his 89-yard punt return TD may have won the game for the Eagles. It put the Eagles up 10-0 early and set the tone for the entire game. Sproles also ran for a 1-yard TD in the game. 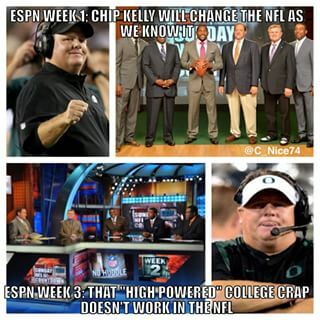 Let's just hope that Chip Kelly doesn't forget about Sproles, like he did last season. Speaking of Kelly, let's turn out attention to the negatives that still remain, in spite of the win. Kelly spent the week being his arrogant jerk self. Any time he was asked if defenses had figured out his simplistic offense, he would brush it off. When his own player said that the Cowboys were calling out the Eagles' plays, Chip had a talk with him and suddenly the Josh Huff's memory or that wasn't quite so clear. But actions speak louder than words, Chipper. The fact that the Eagles ran plays with the QB under center is all the proof you need to know that defenses actually had figured out Kelly's gimmicky offense. Kudos to him for adjusting, though. Let's just hope he keeps adjusting or else he'll be taking that college offense back to college next season. By putting Sam Bradford under center, the Eagles became less predictable. That, in turn, helped Ryan Matthews gain 108 yards on 25 carries, which is more than the Eagles team rushed for in the first two games combined. That's a good thing, but again, will Kelly continue to have Bradford under center or will he fall back into his old habits? And what will happen when DeMarco Murray comes back from injury? It will be interesting to see how the carries are split up. Let's hope all three RBs get a chance to show what they can do because the Eagles obviously need to run the football to win. That's because Sam Bradford absolutely stinks. Oh sure, he stopped throwing two interceptions a game, but he still looks tentative in the pocket and simply refuses to take any shots downfield. Bradford completed only 14 of 28 passes for 118 yards against the Jets. Yes, the Jets have one of the best defenses in the NFL, but this isn't anything new for Bradford. His longest pass all season is only 32 yards and only 2 of his passes went for more than 20 yards against the Jets. This is a pattern that has continued since his days with the Rams. Bradford has the lowest yards per attempt and yards per completion among all 32 active QBs who have thrown more than 1,500 passes. Calling him Captain Checkdown is spot on. 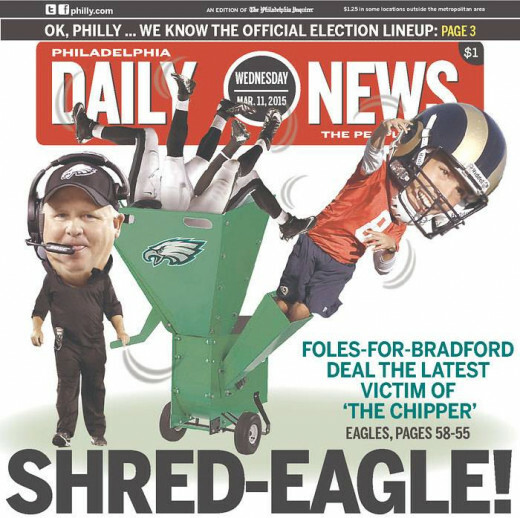 That also makes Kelly's trade of Nick Foles and second round pick for Bradford, the worst move of his entire offseason. Considering that Kelly let his bloated ego get the best of him and jettisoned both of his starting guards, his No. 1 RB and his No. 1 receiver for the second straight offseason, that's saying something. 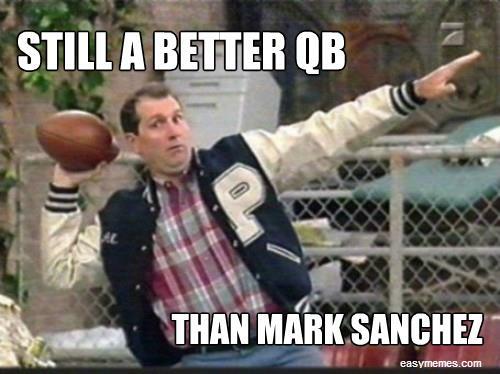 Bradford is yet another great college QB who is just an average NFL QB. The only thing that can make this worse is if the Eagles destroy the franchise for years to come by giving Bradford a long-term contract for the nearly $20 million a year he's seeking. Let someone else make that franchise-altering mistake. Just consider the lost second rounder a case of learning from your horrible, horrible mistakes and move on. The new guards have looked like journeymen backups this season, which isn't surprising because that's exactly what Andrew Gardner and Allen Barbre are. To make matters worse, Gardner got hurt on Sunday and was seen leaving the Meadowlands on crutches, wearing an air cast. LT Jason Peters also couldn't finish the game, but said he would be fine. 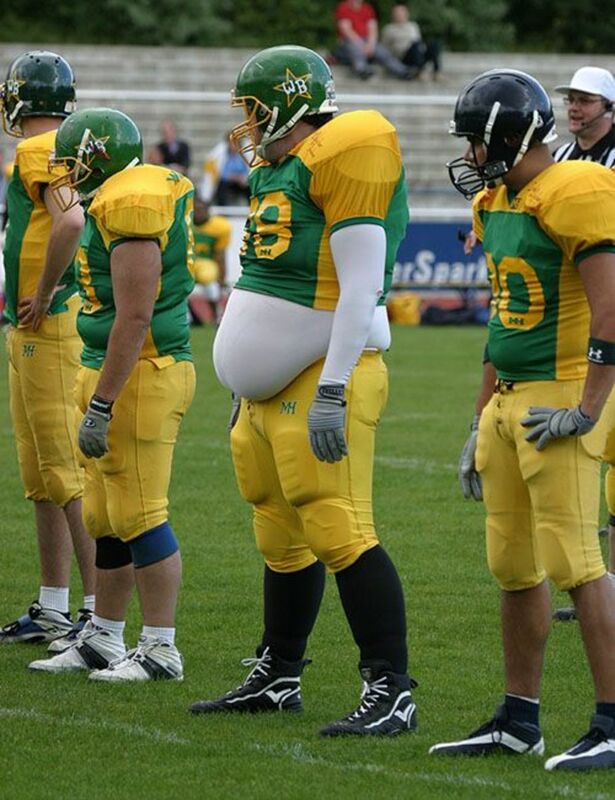 Unfortunately, his fine is a far cry from his Pro Bowl reputation these days. The receivers are non-existent, literally. No WR besides Jordan Matthews caught a pass on Sunday. Part of that is Bradford's fault, but part of that is that the other receivers on this team either can't get open or can't catch the ball. Matthews has 22 catches for 231 yards this season. All other Eagles receivers have a combined 13 catches for 116 yards. Nelson Agholor might have a promising future, but that promise certainly isn't showing up so far this season. Thank God Zach Ertz is healthy because Brent Celek looks old. 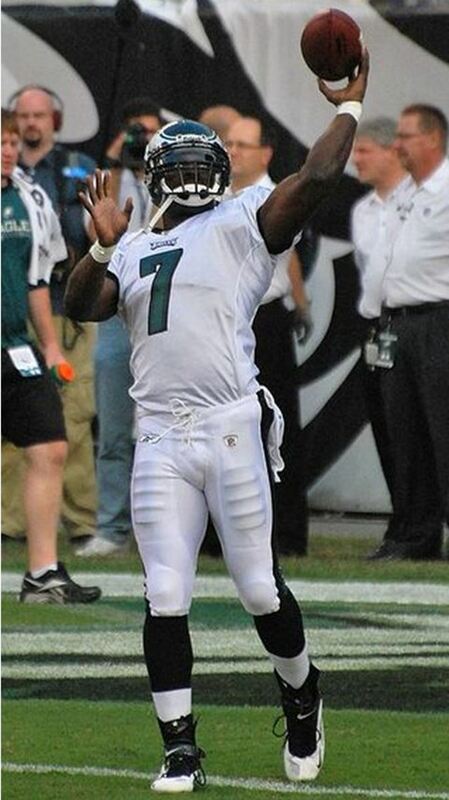 How Do You Think The Eagles Will Do This Season? 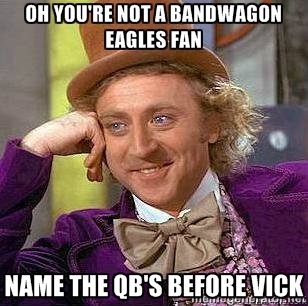 Yes, I know I'll hear from Eagles fans, that I'm being too critical after the team won on Sunday to save their season. I just think of it as being honest. The Eagles managed to run the ball well in the first half on Sunday, but that's it. They only gained 53 total yards in the second half and didn't score any points. They also only gained 232 yards for the entire game, while rushing for more yards than they passed the ball. Sure, the running got harder in the second half because the Jets knew the Eagles were trying to run out the clock with a big lead. But previous Eagles teams were still able to churn out the yardage on the ground even when the defense knew it was coming. Now that's not happening and it's a big problem. There are still many issues with this offense. It's up to Kelly to continue to make adjustments and not simply blame poor execution for all of the problems with his offense. Speaking of that, I wonder how long it's going to take before the players are sick and tired of hearing their coach blame everyone but himself for the team's offensive woes. The only thing that can prevent that from happening is winning. Luckily for the Eagles, their upcoming schedule is a cake-walk. The Redskins are still a joke. After that trip to DC, the Eagles host the 0-3 Saints without Drew Brees and a bad Giants team. That leads to road games at a good Carolina team and a visit to Dallas, who might still be without Romo and Bryant. Then a couple of home games against bad teams from Florida, Miami and Tampa Bay, before a Thanksgiving game at winless Detroit. After that it gets pretty rough with teams like the Pats, Bill and Cardinals, but the Eagles might actually have a winning record before they have to face those teams. Yes, the Eagles have still have some serious holes in their offense and I think Bradford stinks (No, not ready to see Mark Sanchez), but the rest of the NFC East is so bad or injured, they still have a reasonable shot at winning the division. Heck 8-8 could very well win the division this year. Whether or not it's good for the Eagles to win the division, only to get slaughtered against a good team in the playoffs, remains to be seen. The alternative is for the team to go belly-up and for Kelly to go back to college. I'm not ready for the nuclear option, just yet. But if they lose to the Redskins next week, all bets are off.